At Bellevoir, you will find real solutions to age-related skin conditions. Our products effectively combat both the causes and the symptoms of aging skin. As our bodies age, so does our skin. However, there are other factors that also contribute to skin aging. 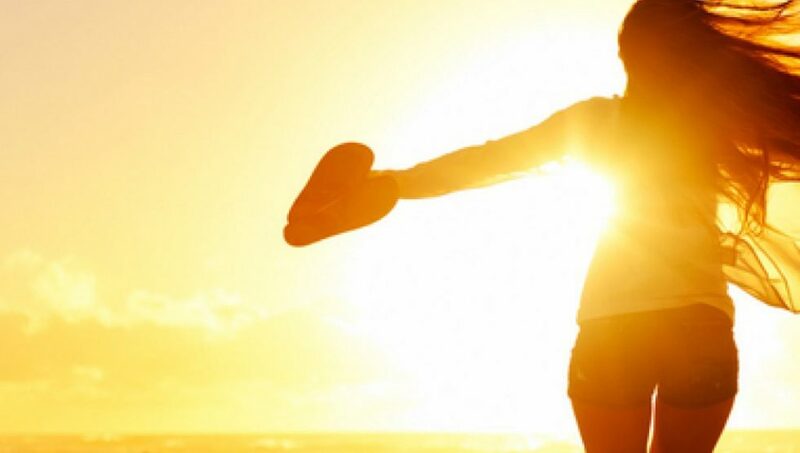 Sun damage, smoking, and pollutants accelerate the aging process. In addition, for women, hormones cause the decline of collagen and elastin production in the years leading up to menopause. When elastin and collagen take longer to produce, the skin’s natural lipids recede and brown spots surface. 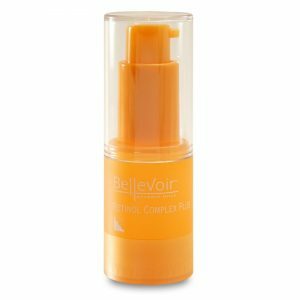 Bellevoir’s anti-aging skin care line will help reduce dark spots, age spots, wrinkles and loose skin, and give you more firms, smooth and youthful skin. Prevent your skin’s signs of aging with our superior anti-aging products. This exclusive formula contains pure and unique essential lipids from plant extracts. It restores the skin’s natural lipid barrier that is eroded by aging, so the skin can retain its own moisture levels. Highly penetrating bio lipids replenish much needed hydration that leads to softer, smoother and younger looking skin. 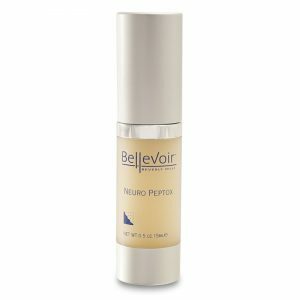 Neuro Peptox, an effective and safe alternative to collagen and Botox injections, has a rich blend of the most advanced neuropeptides, lipids and potent antioxidants. This innovative complex of neuropeptides stimulates collagen to smooth away wrinkles and emulates Botulinum Toxin A (Botox) to reduce the depth of wrinkles and minimize fine lines caused by muscle contractions that occur when we smile and frown. Neuro Peptox also contains Haematococcus Pluvialis Extract, a natural anti-oxidant 100 times more effective than Vitamin E and an excellent neutralizer of free radicals caused by the sun’s harmful UV radiation. This silky serum contains a potent retinol (Vitamin A) in its purest form. Retinol, a skin hydrator, advances cell regeneration and increases the production of collagen in the skin while preserving moisture balance. The combined effects of retinol and ceramide penetrate into skin, preventing water loss caused by aging, sun damage, and harsh environmental factors. Blemishes in the skin also become less conspicuous, while formerly dry and damaged skin becomes rejuvenated. Science is uncovering amazing new benefits from stem cell treatment, and we have incorporated them into our Stem Cell Repair Complex. With stem cells derived from a rare type of apple originating in Northern Switzerland, we can actually delay skin cell deterioration and rejuvenate your stem cells. This advanced formula also infuses Argan Stem Cells from Morocco, which penetrate deep into the dermis to extend cell life and increase skin firmness. In addition, we’ve added Alp Rose Stem Cells to protect skin from UV-induced stress and free-radicals. You’ll notice reduced redness and a radiant, dewy look that lasts throughout the day. And to finish off this exclusive complex, we’ve included a blend of whitening extracts to fade spots and even out skin tone. 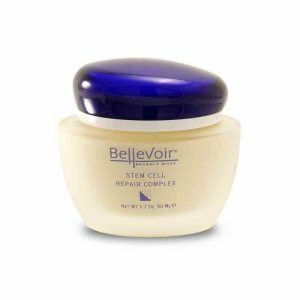 With Bellevoir’s Stem Cell Repair Complex, you can start to heal your skin from within. The result is absolutely age-defying.